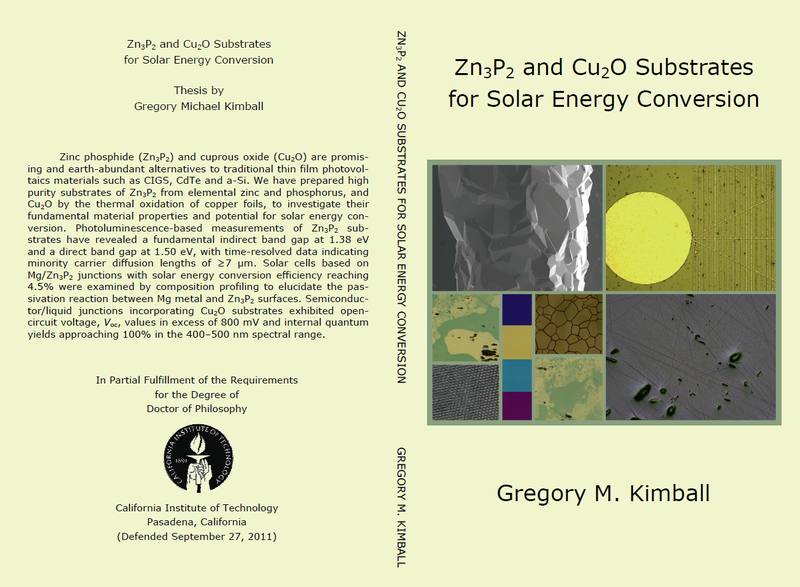 Zinc phosphide (Zn3P2) and cuprous oxide (Cu2O) are promising and earth abundant alternatives to traditional thin film photovoltaics materials such as CIGS, CdTe and a-Si. 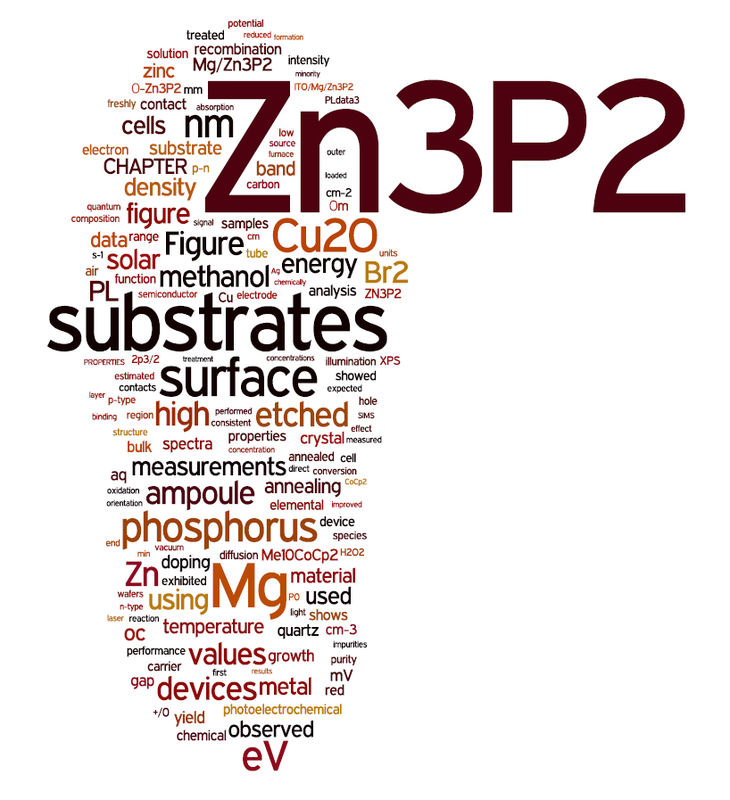 We have prepared high purity substrates of Zn3P2 from elemental zinc and phosphorus, and Cu2O by the thermal oxidation of copper foils, to investigate their fundamental material properties and potential for solar energy conversion. Photoluminescence-based measurements of Zn3P2 substrates have revealed a fundamental indirect band gap at 1.38 eV and a direct band gap at 1.50 eV, with time-resolved data indicating minority carrier diffusion lengths of ≥7 μm. Solar cells based on Mg/Zn3P2 junctions with solar energy conversion efficiency reaching 4.5% were examined by composition profiling to elucidate the passivation reaction between Mg metal and Zn3P2 surfaces. Semiconductor/liquid junctions incorporating Cu2O substrates exhibited open-circuit voltage, Voc, values in excess of 800 mV and internal quantum yields approaching 100% in the 400–500 nm spectral range.